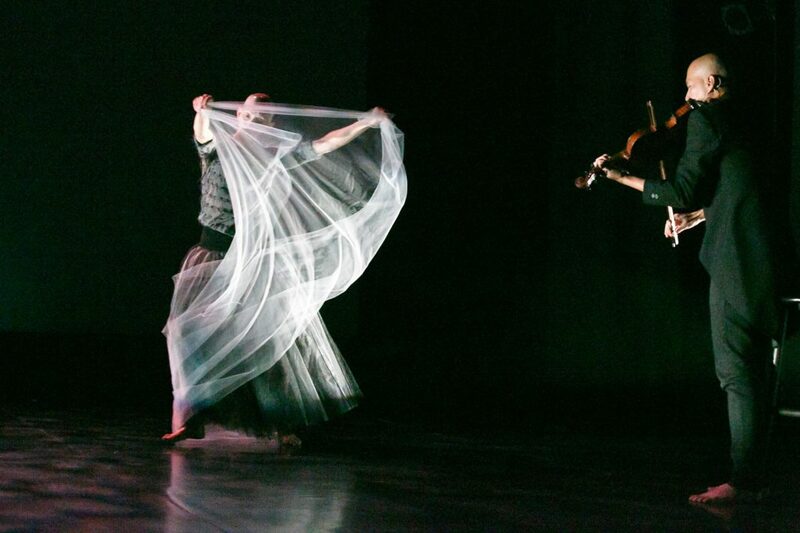 Stephanie Burridge first choreographed MIST in Singapore (where she lives and works) in 2016. 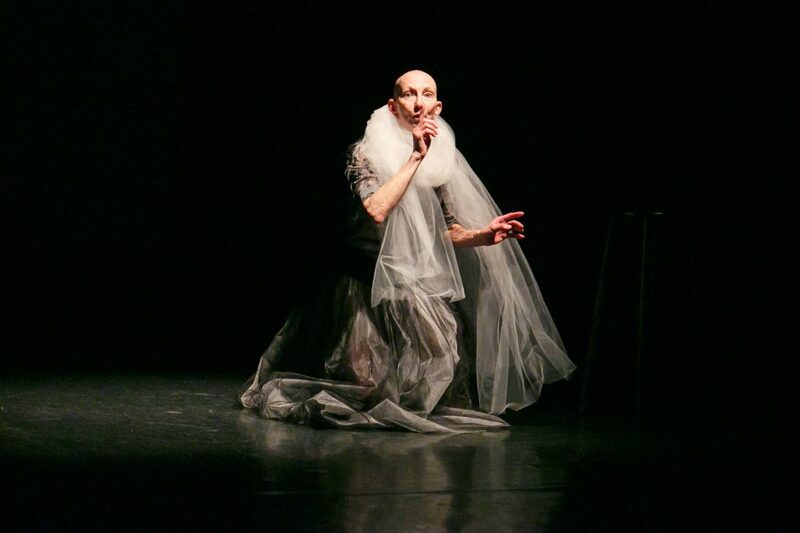 She came to Canberra to oversee its staging as part of the 40th anniversary celebration for Canberra Dance Theatre, where Burridge was artistic director from 1978 to 2001. 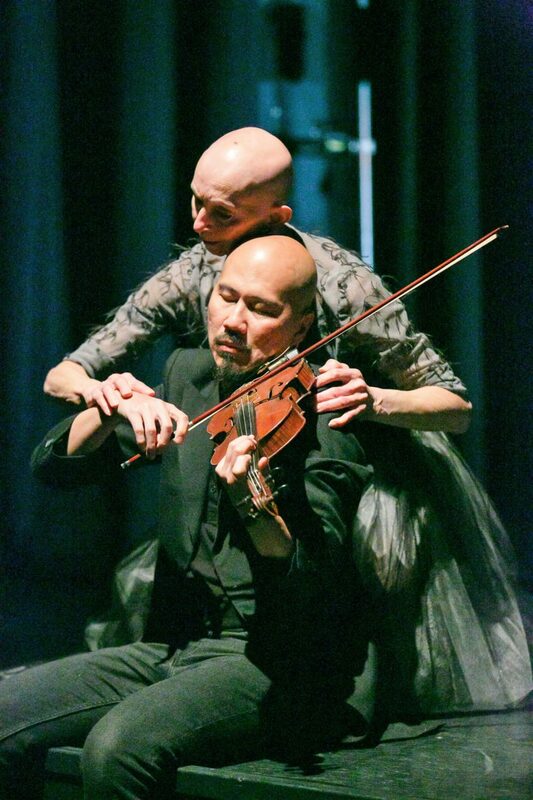 Its original cast was Kailin Yong, violinist and composer, and Yarra Ileto, dancer. Yarra Ileto was unable to come to Canberra and Anca Frankenhaeuser, who had danced in many CDT productions during the years of Burridge’s directorship, took on the dancer’s role. 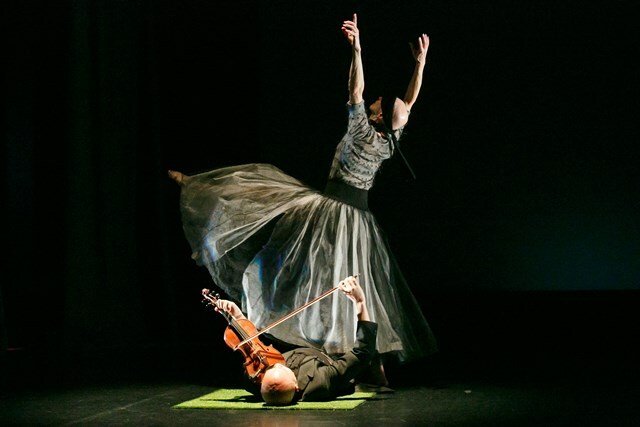 The program notes stated that MIST is ‘A duet for two performers in the tradition of a dance pas de deux—but one is a dancer and the other a musician.’ What to expect? Well it was the most moving and stunningly beautiful work I have seen for years. 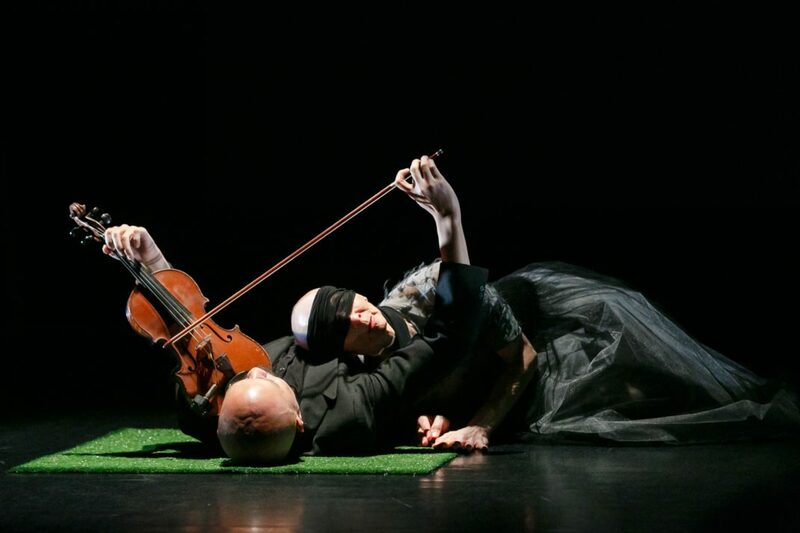 This was in part due to Kailin Yong, who played his violin while sitting, standing, walking and even lying down (and part of the thrill was that it appeared as though he was playing live); and to Frankenhaeuser, who danced and acted out her role from deep within her body and heart. But in part it was also Burridge’s exceptional concept and the way in which she brought it to the stage. As the work began Kailin Yong was lying on the ground, violin poised. Frankenhaeuser entered from an upstage wing making her way towards him. She was blindfolded and tentatively worked her way across the stage, gesturing in ways that suggesting listening, querying, wondering. On reaching him she moved around and over him and at one stage lay down beside him and placed her head on his chest. Did she know him? Was she listening to his heartbeat? Later Frankenhaeuser removed the blindfold and her thoughts about her partner became stronger or more obvious. All was shown through her body whether through her often powerful, or sometimes timid movements; or through her facial expression and her gestures. Kailin Yong stood apart at times and played his music at her. She danced at him at times, throwing a leg high in the air towards him. But at other times they were close together, more intimately involved. In a third manifestation of her character, Frankenhaeuser took a piece of white tulle. She used it to divide the space between her and her partner. She used it as a decorative item as she seemed to conduct a conversation with herself and with us, becoming more irrational and excited as time passed. She danced with the tulle tossing it, throwing it. And then she sank to the ground and was covered by it as her partner slowly came to her side. What a dancer! What a musician! What a pas de deux! A life before us!